As a specialty division of FORMost, our events and promotions team specializes in both the design and production services of any event. Are you looking to host an exceptional event in 2019? With FORMost Events and Promotions, you can trust a professional consultation and expert advice to ensure that your next event exceeds all expectations! As a specialty division of FORMost, our events and promotions team specializes in both the design and production services of any event. Whether you are working with a corporation, association, government agency, non-profit, or even a wedding, our team will plan and professionally manage your next event for 2019. The start of your next great event begins with outstanding planning and creativity. We start your creative event planning process with a consultation to better understand the goals of your event, the needs of your organization, and the creative style that you are striving for in the process. By providing our clients with great communication throughout the planning process, we help to ensure that everyone involved is calm and informed in the midst of any planning pressure. 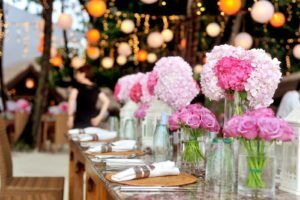 These creative elements will not only help to ensure that your event is exceptional for guests, but also that it stands out as a memorable event of the year. Not only will planning your event with FORMost help you organize your next event with ease, but it will also ensure that your professionally planned event is a memorable and exciting event for all who attend. Whether you are planning a professional event or a private party, professional planning gives you access to exceptional design elements and expertise that are sure to make your event an unforgettable one in 2019. Trust FORMost Events & Promotions for Your Event Planning Needs Today! This entry was posted on Friday, February 8th, 2019 at 10:35 am. Both comments and pings are currently closed.